Composting | INFINITY RECYCLING | INC.
Composting kitchen waste by feeding it to worms is an excellent resource development technique. Not only can a home deal with some of its heaviest, potentially smelliest discards, it feeds worms that produce worm castings which are wonderful soil amendments for veggies and flowers. A composting worm or red worm or eisenia fetida eats half its body weight every day and a worm bin can support over 15 pounds of worms (1000 worms = one pound). For a wealth of worm information check out Mary Applehoff’s wormsite, www.wormwoman.com. She also wrote the great book Worms Eat My Garbage. 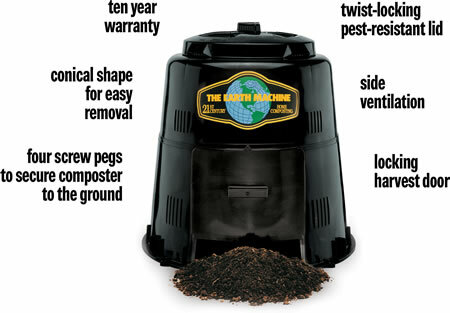 Infinity Recycling, Inc. is offering a great deal on high quality compost bins. The cost is $45 each and they can be picked up at our office at the address and times listed below. For our current customers, we can deliver your bin right to your door! Just mail or call in your payment and we will deliver right away. 9:00am to 1:00pm on Saturdays. Please feel free to use the link provided below to read more about the compost bin. The link will open a new window.